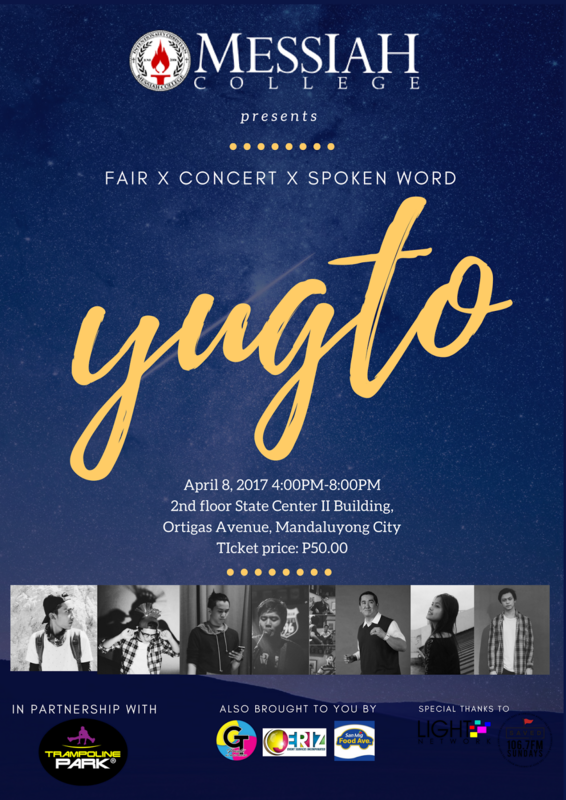 Messiah College presents 'YUGTO' a fair, concert, and spoken word event. Jumpstart your summer by enjoying good food, exciting booths, great music and amazing poetry! 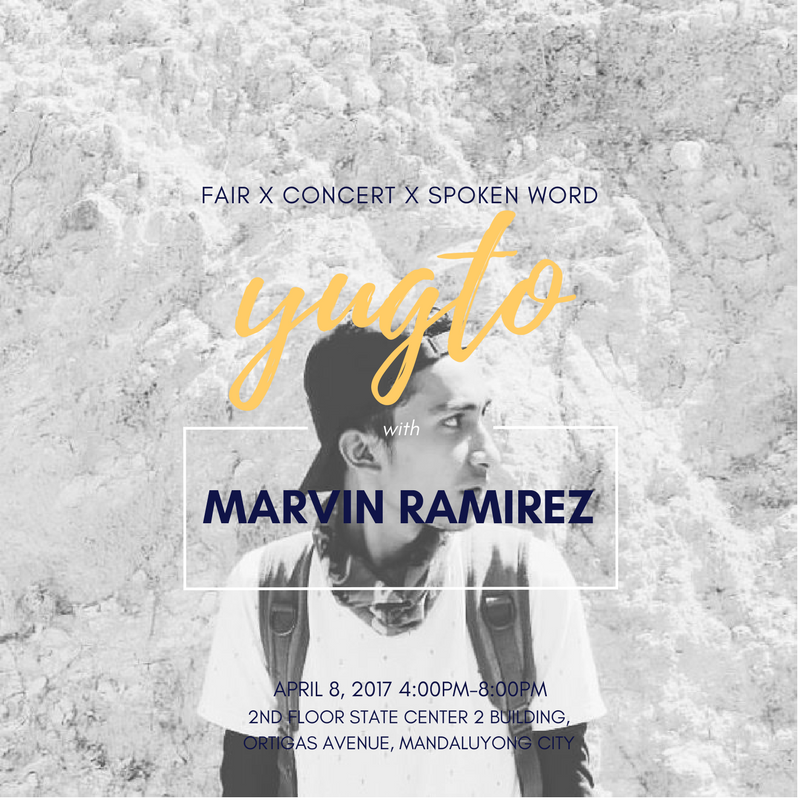 x Spoken Word aims to change the perspective of the youth through the influence of music, spoken word poetry and messages of faith, hope and love. The Fair x Concert x Spoken Word will be held at Messiah College, 2nd Floor, State Centre II Bldg., Ortigas Ave., Mandaluyong City on April 8, 2017, 4:00pm to 8:00pm. Registration starts at 3:30pm. Get ready to snap your fingers and share the beauty in art! 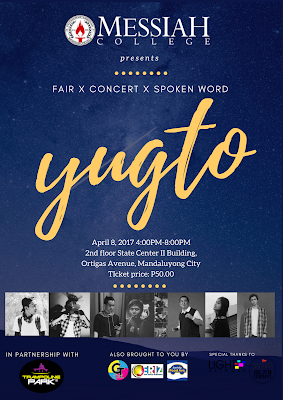 Catch great performances by The Ridleys, Mika O'Hara, Nathan Huang, Marvin Ramirez, Simon Calma, Tristan Ortega, and Jungee Marcelo! 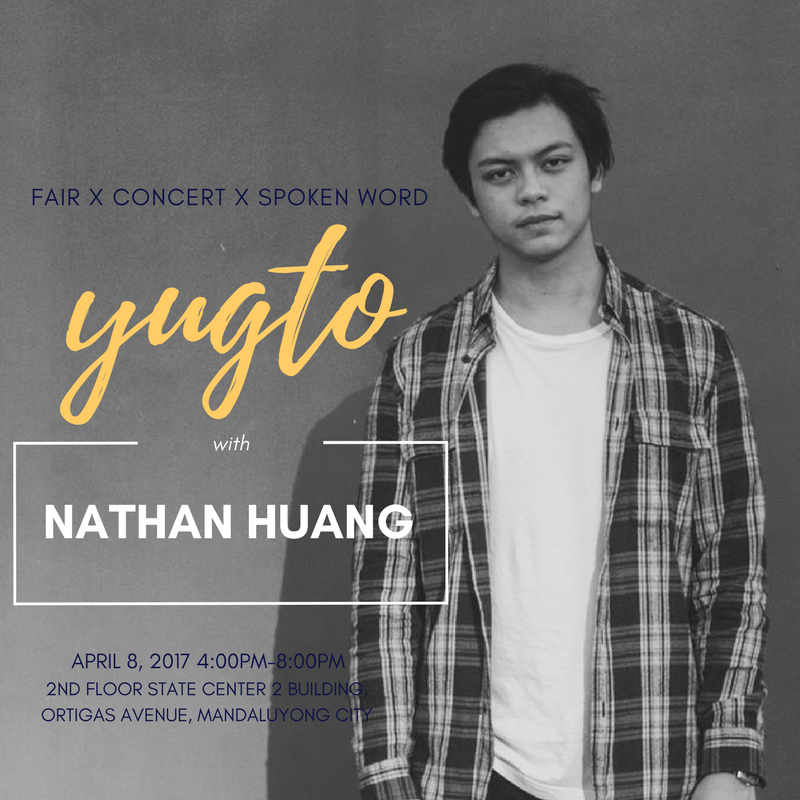 Tickets are only P50 so don't miss out! 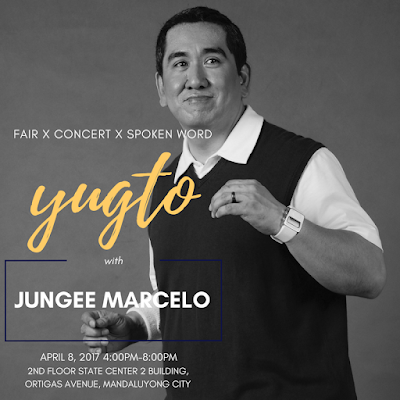 Yugto also offers Barkada Promo (5 + 2 package). For every 5 tickets you’ll buy, you’ll get 2 tickets for free. PLUS! The first 5 barkadas that will avail of the promo will get 5 vouchers each from Trampoline Park! 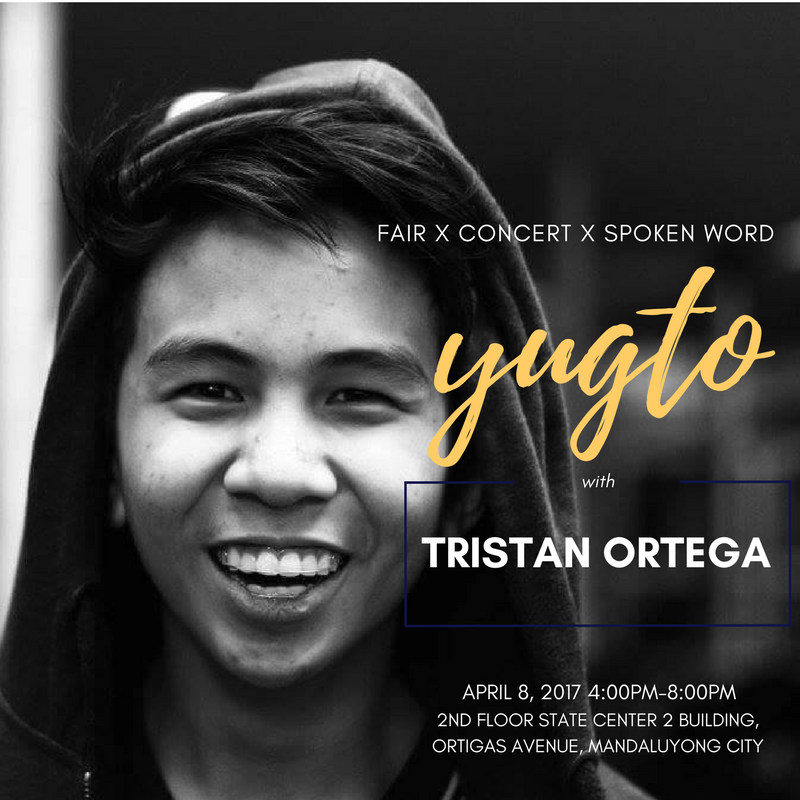 This event is brought to you by Trampoline Park Philippines, San Mig Food Ave, CTG Printz, and Jeriz Foodcarts! 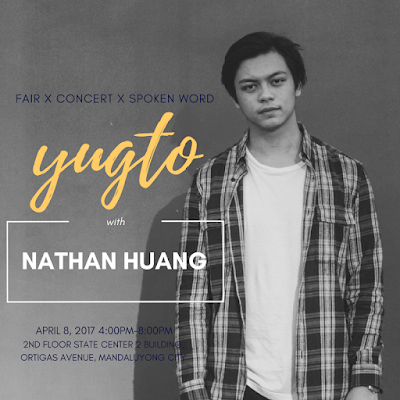 Media Sponsors: LIGHT Network (www.lightnetwork.ph), and Saved Radio.